One thing that I needed to do was to consolidate my home, work, and personal logs into one mega system that would make tracking things in the future easier. I’ve tried the electronic method (s) and it doesn’t fill all my needs, so I thought about it and came up with a solution. This idea came to me after trying various ways of organizing myself throughout the day and beyond and using various tools, which led to scattered efforts and duplicates faltering my purposes and hindering progress. Because I work mostly from home, it works for me, but it wouldn’t work if I had to carry it around. In that case, a small agenda will do. It can always be transferred to the main log. What I had to eliminate is mostly duplicate calendars that made things confusing at times. 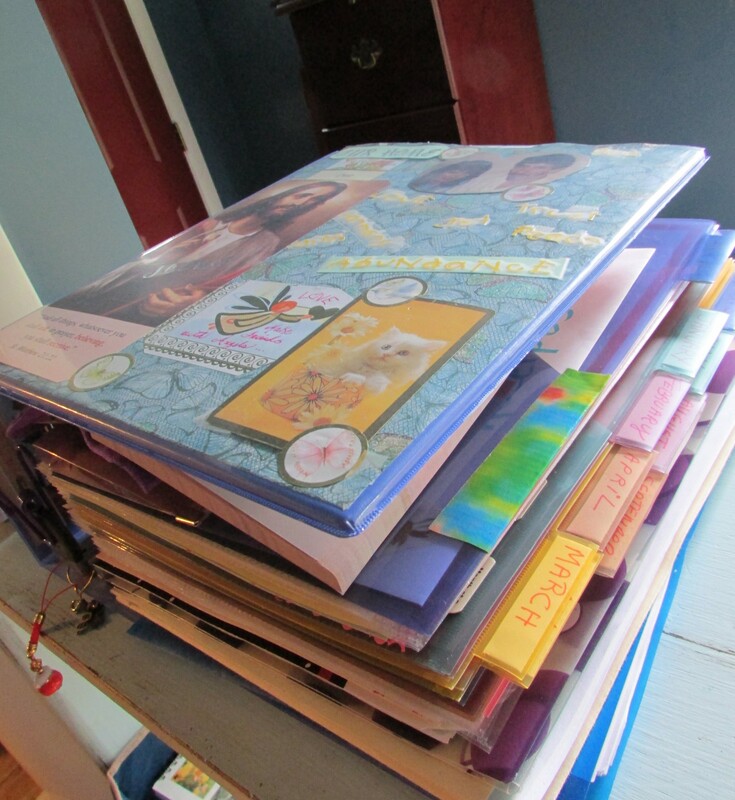 Now, I keep everything in one big binder under different tabs. I bought the biggest binder I could find at Staples. I separated it into three main areas – home, work, personal, and kept the months from January through December as a separate section. Later on, I added a miscellaneous section, and one for notes. The way I organized these sections works better for me, and my working style. In the Home section I track everything related to home keeping, including projects, to do’s, chores … I added two subcategories – budget and expenses. The work category is divided into four sections – writing, book marketing, future projects, and The Owl, Book & Candle. The personal section has to do with personal goals, health, dreams … . The calendar section is where everything is scheduled monthly, weekly, and daily. In addition, each month has a to do list, as well as a monthly goal section, and project section. Each month has a pocket sleeve for important information, or things that will come up that month. The other sections have a pocket as well. I added a dashboard to the personal section, to highlight things that I want to prioritize and to include any uplifting thoughts or inspirational quotes at the time. The miscellaneous and notes section serve to keep anything going on that has not yet been scheduled or assigned a category, or may not fit yet into any section. Notes will track any new ideas that need follow-up in the future but do not fit in the calendar yet. In addition, there are certain things that I do daily and some things that are always done quarterly and yearly that required a check list, so I don’t have to write those over and over. I didn’t want to use a standard checklist, so I came up with a check list that uses icons that I can cross out, and visually tells me quickly what I did and what is left to do on that day. I added a small to do section to it as well. It all fits in one sheet of paper and it is divided by sections – work, Me (personal and chores), weekly, monthly, quarterly, and yearly. These are things that have to be done always. I added a fun and other tab for things that may come up in planning that day. So far it is working great. 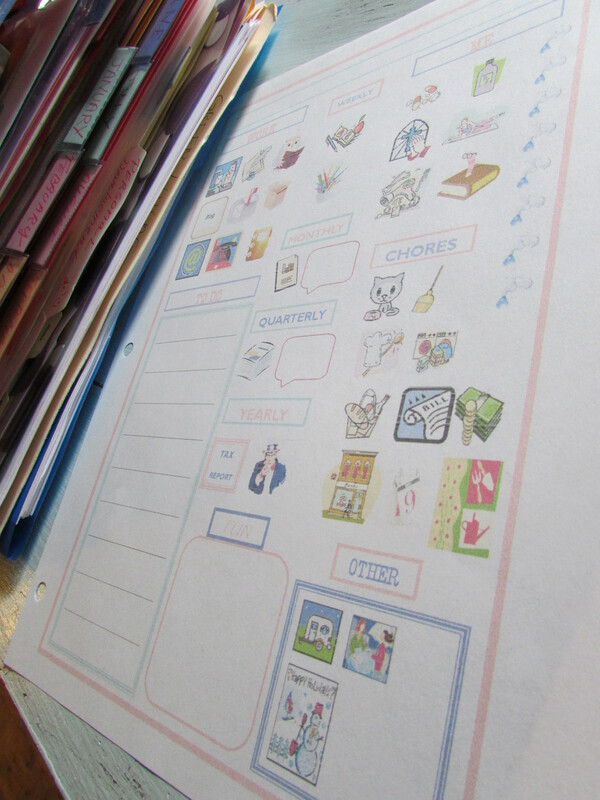 The result is a mega life management system that takes a lot of space, is very heavy, but most important, works for me. I wanted to show you some pictures to give you an idea but for some reason the WordPress picture feature is not working today, even that I still have tons of space available. If I am able to figure out what is wrong with it I will post the pictures. I hope this idea inspires you. Note: I was unable to upload the pictures while in Explorer; however, by changing to Firefox, I was able to do it.